Anyone who has read / planning to read Dale Carnegie’s “How to Win Friends and Influence People” will probably be surprised to learn that the book was written almost a century ago. It was first published in 1936 and has since sold over 15 million copies. Not many (if any) books that are 100 years old sound today with the same fresh notes as this publication. Why is that? The obvious reason that we all can guess is that it touches on a timeless topic—that is, how to build long-lasting bridges to other people. When I read the book, I found it to be quite helpful and yet—very intuitive and real-life driven. In other words, I didn’t quite find any “wow-I-didn’t-know-that” revelations. Of course, we all understand, at least sub-consciously and on a general level, the importance of smiling and giving appreciation, or taking genuine interest in other people. What makes the book unique and outstanding, though, is that it takes concepts that are universally true (be honest, don’t criticize, smile) and teaches us how to turn such behaviors from nice-to-have and unconscious into conscious and deliberate targeted winning strategy to influence other’s opinions. Is this a not-so-subliminal form of manipulation, one may ask? Probably so. Let’s see why it is highly advisable for us to follow the advices in the book, though. The most obvious reason is that we will be at a disadvantage if we don’t. Many of the “universal truths” that Dale Carnegie addresses come naturally to some people (lucky them!). The rest of us have to work hard to develop the various forms of “people-intuition.” But if we don’t, we will probably be an easy target to other more skilled influencers. So, it all comes down to the basic rule—become a “wolf,” or become its dinner. Secondly, following the suggested steps will lead to finding common grounds with broader audience which, in turn, will result in making more friends. Now, where is the harm in this? Last time I checked, a gain in popularity only can benefit us—personally and professionally. And finally, in our “modern world,” two concepts are of grave importance to anyone’s success—networking and the ability to negotiate (i.e. to make others see our point of view). The book is simply great at teaching us how to do this on a conscious level—even with people that we may not generally like that much, such as our managers and other important stakeholders. For most of us, everything in the book resonates personally with clear relevancy. Undoubtedly, although the advice is almost 100 years old, it is as appropriate today as it was in 1936. There are few things in life that have universally preserved their meaning and significance throughout the ages—such as, the importance of love, for instance, or the ability to communicate with people. Dale Carnegie is not the first, nor the only one that has come to this essential conclusion. Rudyard Kipling, in his famous poem “If” that was written in 1895, also speaks about the ability to “talk with crowds and keep [our] virtue, and walk with Kings and not lose common touch.” So the idea is not new; wise men have long realized that the skill to connect and influence others is more valuable that anything money can buy. 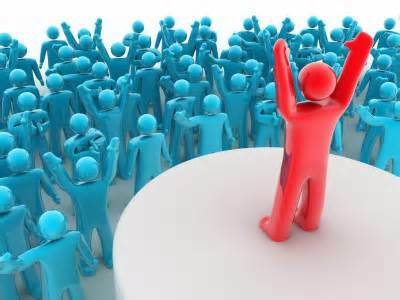 All great leaders in history—Alexander the Great, ancient kings, Gandhi, Martin Luther King, most presidents in present and past days—are all excellent public speakers. What makes them special and different is their intuitive ability to motivate the crowds and gain their support. All this can only lead us to one logical conclusion- a necessary part of any great leadership (personal, corporate, political, etc. ), even today, is to master everything Dale Carnegie discusses. Yet, the book doesn’t lack criticism. A quick review on Goodreads portrays the material as “used-car-salesmanshippy,” “waste of time,” “enforcing faux sincerity and false positivity.” The question then to the “critics” is: what is your alternative solution and advice on how to gain more friends and make our voice heard in the crowd? Does anyone honestly believe that we need to only be a salesperson in order to smile every day, or to be a good listener, or to give honest appreciation? I don’t believe so. It is true that the book can only give us the basics—how far anyone wants to take the advice, depends on our own situations. Unarguably, no harm can come from being polite and attentive—and if we can do it sincerely, then… this will be simply priceless. In the end, “How to Win Friends and Influence People” is a well-written guide for self-improvement—to anyone who wants to progress their own circumstances and better her/ his life. It gives us a new way of looking at people and at our relationships with them- that is, it teaches us to how change our thinking hats and be more accepting of others—of their weaknesses, flaws and imperfections. And after all—wouldn’t we, in turn, want to be treated nicely and feel accepted and appreciated by our friends, peers and acquaintances? Simply put—the essence of the book comes down to one simple principle: “Treat others the same way you want to be treated.” And this is merely a statement that anyone can disagree with.